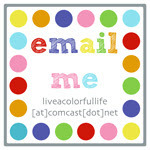 Live a Colorful Life: iFinished! A few months ago, I started a really fun project for a Lego lover after seeing this pattern on etsy. Instant download, quick trip to JoAnn (with no 's' on the end...). Sunday night all the weaving in of the ends was completed. 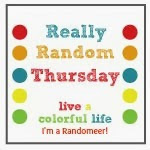 Linking up to Finish It Friday! Oh, he must love it! You are such a good grandmother! That happy boy face and the lego afghan are perfect together! Adorable the colors are so perfect! Oh, so cute/pretty! Levi looks very pleased! Ack! I pinned that ages ago and have never tried it- you are very inspiring! It looks great and such a happy recipient! that's fun. I have two LL at my house. I remember the Lego-themed birthday parties, with the Lego cakes made from sheet cakes topped with cupcakes to make bricks. Very Adorable! What a great finish! That's great, and look at his smile! Says it all! Doesn't that face say it all. Wonderful job. He looks very happy with his new lego blanket! How fun. Great job, Grandma--it looks to be well received! Oh fantastic!!! My son would go crazy for one, if I were to ever mention such a thing was possible! Oh come on, that is amazing!! Great job, inspiring! Love it! He looks very cozy under that afghan! yay! what a happy little guy! What an awesome afghan! His happy face just says it all. Great job! Faboulous, congrats on your finish! Just as sweet as can be! Your lego quilt is awesome! Congrats on the wonderful finish! Way cute! That face is priceless. Your work is outstanding. I wonder athose plastic blocks. I've never seen any like these, but your afghan is a great representation if them. about... of. I-phone keypad is so touchy-tedious! This is absolutely adorable! I'd love to make one of these for my lego loving nephew, but I'm afraid that I would never get it finished! This is so adorable!!!!! Makes we wish I could crochet and/or knit. This is so cool Cindy. My son was a huge Lego fan and for years we lived them all over the family room. AWESOME!! I really love the colours you chose and it is the coolest crochet I've seen! Oh wow. That really does look like Legos!